Our SVG Challenges have been weekly. Sometimes it will be a little over a month, sometimes a little less. Before we get to this week’s challenge lets announce the winner from Challenge 3. Please use the Contact Tab at the top of this blog and provide address you want your gift sent to. You have 3 days to claim your prize or a new winner will be chosen. I would love for you to display the Winners button on you blog you can pick it up HERE. ♥ Post any project of your choice (as long as you use a SVG file somewhere on it. ♥ You must mention and link to this challenge on your blog/website to be eligible to win the prize. 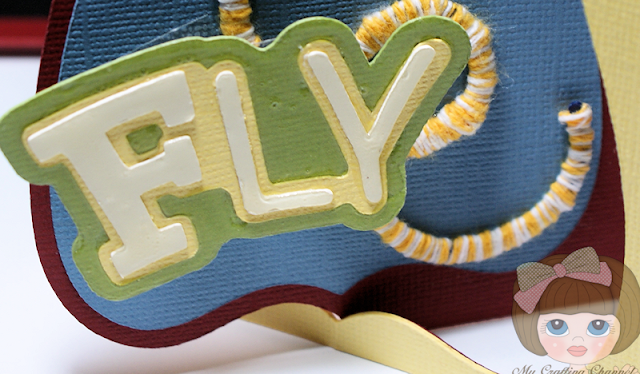 ♥ Post as many projects as you want that fit the criteria. ♥ Must display the Challenge Blinkie on your sidebar during the duration of the challenge. You can pick it up HERE. (Having my blog blinkie does not apply to challenges but only to The Button Swap and GiveAWays). Entries that do not follow the rules will not be approved and deleted. I will no longer email you and tell you that rules were not follow. 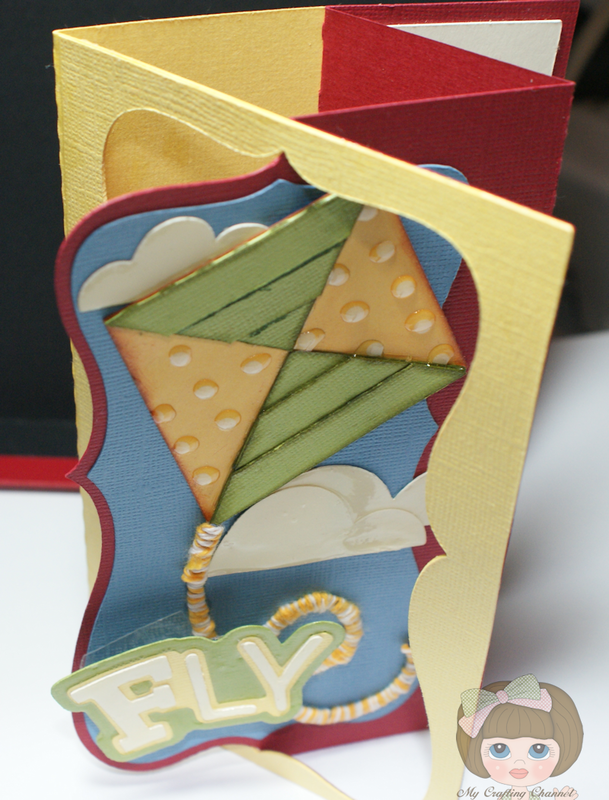 If your entry does not appear within a few hours (except overnight remember I'm on EST), please double check that you have followed all the rules and submit your entry again. .
For this challenge I created this really cute kite card for my grandson. He can finally fly a kite without assistance. I really love the Lever cards and using a SVG file it went together in a matter of minutes. I added a action wobble because he loves them. Congratulations to the winner. Your card is juste awesome!!! Was a easy fold using the VG file. Congrats to the winner and this card is awesome!!! 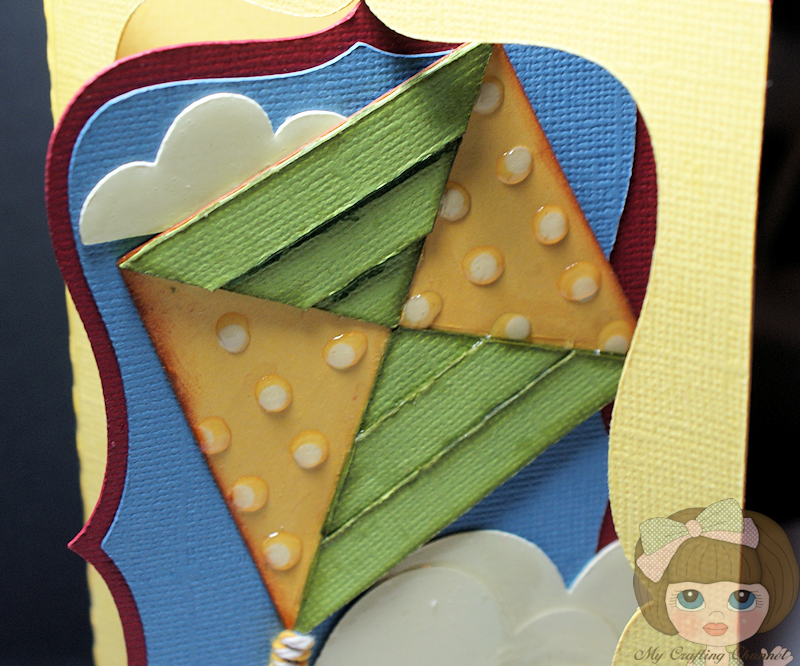 I love the way it opens and I just love that kite! Wonderful job! You are always so sweet, thanks. I'm email you my address now!! Congrats to the winner!!!WOW!! I am speechless,Nana! Your card is WONDERFUL!!! !It really is BEAUTIFUL!!! 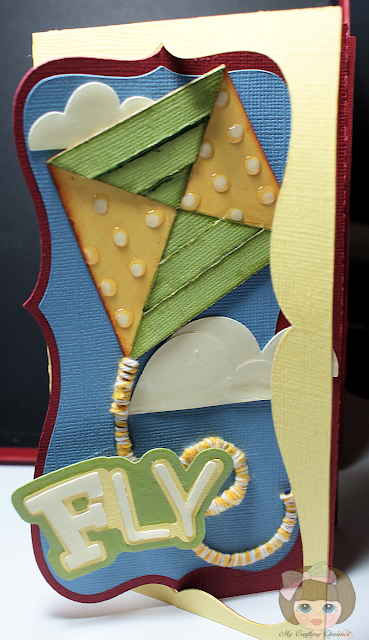 Love how fun the "fly" is on the wobble....they always add such a great extra element to a card! I'm back with another link up :) Happy Tuesday!!! Super cute card. Love the cut. The Wobble just adds the perfect fun touch. Your grandson is sure to love it. Visiting from Wobble Wed Challenge to say Hi! All July pkgs will be going out out on Monday. I ordered some stuff and it just came in today. Hubby will be going by post office on Monday for a meeting. Thanks Terri. He has not received it yet, they have been on Fla on vacation. This was made using a SVG file, very simple and quick card. Wow, here I thought there weren't any "SVG" Challenge sites (so I started my own--First Challenge Sept 10th) and I found you! Still...can never have too many Challenge sites. Thank you for stopping bye today and letting me know about the challenge. I love challenges and look forward to doing many more. Love the card...it is just adorable!